This is less a new discovery and more a recent revelation but I missed last week due to a hectic schedule so I want to make sure to do a post this week. Plus, I really want to share this insight with people. 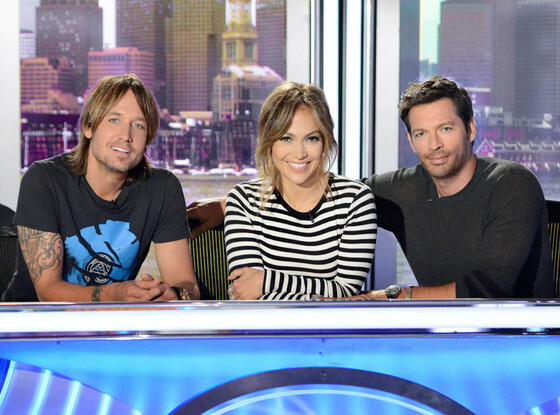 I pretty regularly watch American Idol, and I am not ashamed to admit. I haven’t followed it religiously since the first season and even after I initially started watching it, I wasn’t consistent. I like the performances in Hollywood and the theme weeks but I’ve never gotten really emotionally attached to a contestant. 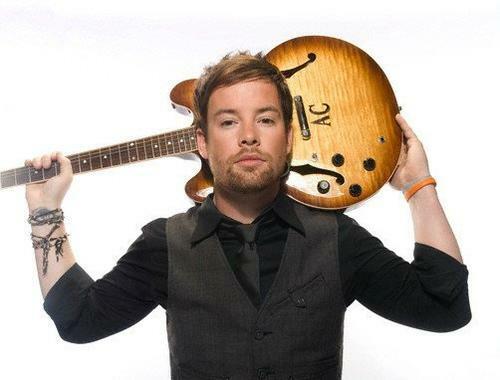 Although, I did just go to a David Cook concert in November and had a blast. So, I would call myself a fan but not a fanatic. I’ll be honest and say that I don’t care what the judges have to say most of the time. I have never been drawn into a season because of who they have judging that year … until now. I was very interested to see how the new trio work together. I enjoyed Keith Urban’s commentary last year. He was pretty honest and seemed to genuinely enjoy the music and performances. It was a fresh addition to a show that had gotten way too scripted. I wasn’t ever in love with Jennifer Lopez but I think her air of sweetness is a good quality for judging. After watching the first three episodes of the season, I know the real star of the judges panel is Harry Connick, Jr. Man, is this guy funny and ruthless. He has a great attitude considering most of the people auditioning don’t even know who he is but he plays it off wonderfully. He also has great chemistry with Keith Urban (I think they have a little bit of a bromance going on) and J. Lo. What I really like is that he’s brutally honest with the contestants. If he doesn’t like a performance, he doesn’t hem and haw about how they have a good personality and such. He tells them blatantly that they aren’t good. He isn’t necessarily mean about it but he is blunt. He’s like Simon but with a better personality. Plus, he’s provided us with some of the best moments in Idol history and they aren’t even at Hollywood week yet! I’m cheating a little because my new discovery is actually something I “discovered” a few months ago. This week I’m talking about The Civil Wars. The Civil Wars is a band (or duo, I suppose is more accurate) that would best be described as Country artists. Joy Williams and John Paul White are the two songwriting members that form the group. I first heard of them when they teamed up with Taylor Swift for the song, “Safe & Sound,” which was featured on The Hunger Games soundtrack. Back in September (2013) I went to a trivia night for a networking event. The team I was on won third place and the prize was a goody bag full of DVDs, CDs, and even a few LPs. I happened to take a bunch of the unwanted music home (my teammates picked out what they liked and were just going to leave the rest, so I went ahead and claimed it), and in that pile was The Civil Wars CD, The Civil Wars. It took me a while to finally get around to listening to it, and after the holiday break I decided to put it in the CD player in my car. I absolutely love it! They have a bit of a gospel vibe mixed with old school Country roots. It’s a little dark and moody, and I love both of their voices. Sadly they recently called it quits. I’m not sure what happened (probably “artistic differences”) but I’m glad they made this album when they did. I understood immediately why there music was featured on The Hunger Games soundtrack. It sounds somewhat dystopian and bluesy. It fits right in with the atmosphere of District 12. On to the new discovery of the week: Story by ModCloth. ModCloth has a blog! For those of you who don’t know, ModCloth is a vintage-inspired clothing website. They sell women’s clothes, shoes, accessories, and knickknacks. I absolutely love their products but they do tend to fall on the more expensive side of things. Luckily, ModCloth has a bunch of sales throughout the year, and you can even “like” an item and ask to be notified when it is on sale or back in stock. Being a member of the site, and signed up for the email list, I wasn’t very surprised to see an email from ModCloth in my inbox recently, advertising new skirts. What did intrigue me was the little icon at the bottom that advertised the ModCloth blog. I immediately had to check it out. They have several different categories, including but not limited to Fashion, Beauty, and Lifestyle. Each of these has their own subcategories and features. I’m not sure how long they have been up and running but they have a pretty hefty backlog I’m going to be working through so I would guess at least a year, probably two (can’t believe I’ve been missing out that long!). The creative team behind the blog seems to be built from like-minded designers and writers from around the internet. Several even have their own fashion blogs (more stuff for me to discover!). It is adorable, as all ModCloth things are and it is on WordPress! How wonderful is it that they are right here on WordPress? I love discovering new blogs, and it is even more excellent that it is on a platform I’m already utilizing. This will make it easier for me to stay on top of new posts and such.